GALION — Shoppers in Galion can look forward to a new retail opportunity planning to open its doors in the fall of 2018. Caribbean Tan Boutique is the idea of young business owners Brad and Shelby Willacker. The couple, who have been married two years, are high school sweethearts and graduates of Colonel Crawford High School. Brad graduated in 2012 and soon after started a lawn maintenance business, B&S Property Services located in Bucyrus, along with attending classes at OSU Mansfield for Business Administration. “I planned my OSU classes into two days per week, and I worked the rest of the time,” Willacker said. Not long after the business started, it took on an evolution into what Brad likes to call ‘Vacant Property Management’. The couple now works with banks to clean and prepare foreclosed homes in the area to be listed for sale. “We have certainly seen some interesting situations in the homes that we are asked to work in,” said Brad. When Shelby graduated from Colonel Crawford in 2014, she also attended OSU Mansfield and earned her Associated degree. After spending time working with her husband to build their business, Shelby was interested in finding a way to pursue her own interests and build their future together. She wasn’t quite sure what that would be, even after they bought the property located at 833 Harding Way West at auction last fall. “We liked the location and decided we couldn’t go wrong for the price,” Shelby said. They went to work soon after clearing overgrown brush from the exterior of the property which had been vacant for some time. The pair gutted the inside of the building a hauled out multiple loads of trash left behind by a previous owner. Shelby’s plans for the boutique include a tanning salon with 6 tanning beds, and she will be working with her sister to pick clothing, jewelry, and accessories that will give shoppers a variety of styles to choose from. “We want to have something for everyone,” she said. While no firm opening date is set, the couple is planning for a Grand Opening sometime this fall just in time for back to school and holiday shopping. 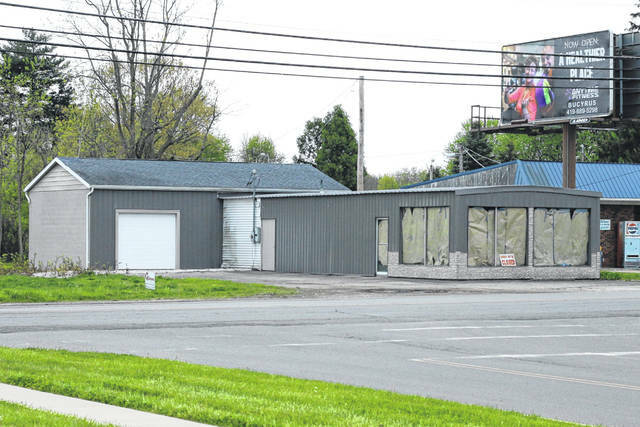 Erin Miller | Galion Inquirer The storef ront for Carribean Tan Boutique located at 833 Harding Way West is still a work in progress for owners Brad and Shelby Willacker. The couple is planning to have the boutique and tanning salon open for business sometime this fall. https://www.galioninquirer.com/wp-content/uploads/sites/38/2018/06/web1_IMG_2630.jpgErin Miller | Galion Inquirer The storef ront for Carribean Tan Boutique located at 833 Harding Way West is still a work in progress for owners Brad and Shelby Willacker. The couple is planning to have the boutique and tanning salon open for business sometime this fall.